Apple's efforts to bring iOS apps to the Mac have been underway for two years, and the porting process for third-party developers won't be completely automatic, software engineering head Craig Federighi said in an interview. Xcode will have an option to flag an app project as intended for both macOS and iOS, Federighi explained to Wired. But while some interface actions will be converted automatically — a long press for instance becoming a two-finger click — extra work may be required to cope with things like menus, sidebars, and share buttons. Apple confirmed plans to bring iOS apps to the Mac during its Monday WWDC keynote. Early first-party examples will show up in this fall's macOS Mojave, such as Home and Apple News. Mojave includes a version of iOS' UIKit, making it easier to code ports. The two platforms already share some underlying frameworks, such as Metal, which should leave few performance gaps based on chip architectures. "At this level, not so much," he said. "In a lot of our core APIs, things like Metal, we've done the hard work over the years of making them run well on both Mac and its associated CPUs and GPUs, and on iOS." After a very clear "no" delivered during the keynote, Federighi once again denied any plans to merge iOS and macOS, or develop a touchscreen-equipped Mac. "We really feel that the ergonomics of using a Mac are that your hands are rested on a surface, and that lifting your arm up to poke a screen is a pretty fatiguing thing to do," he said. "I don't think we've looked at any of the other guys to date and said, how fast can we get there?" He even referred to touchscreen-equipped Windows laptops as "experiments," despite their increasing prevalence. Microsoft's Surface devices have proven reasonably popular, although the Surface Pro and Surface Book are consciously designed with tablet use in mind. Federighi further noted that developers will be able to control how converted macOS apps are sold, skipping the Mac App Store if they want. The public may hear about third-party access to conversion tools at WWDC 2019. "That would be a reasonable thing to think," he said. Rumors of Apple's plans to bring iOS apps to the Mac have been around since late 2017. 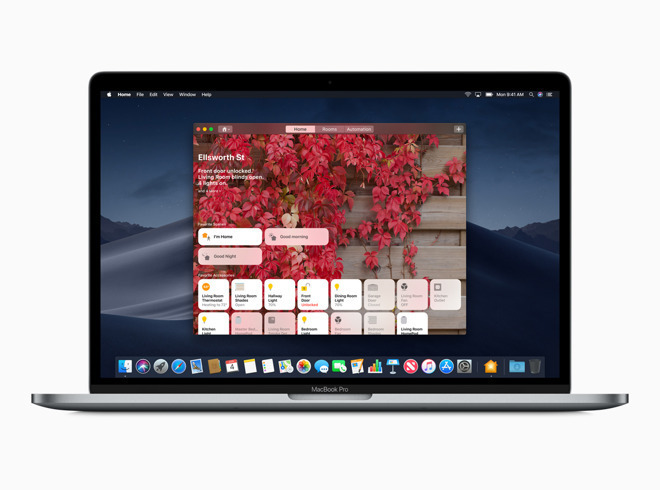 At the time the project was allegedly called "Marzipan," with a goal of improving the quality and update frequency of Mac apps. The reveal by Federighi differs from what was rumored, or has evolved. As it stands, Apple's frameworks, scheduled to be released to developers in 2019, will just serve to ease the difficulties of transitioning apps from iOS to the Mac, not run them in emulation or any similar environment.